2) Physical Design Expectations: The iPhone 7 is expected to be substantially physically redesigned following mostly identical iPhone 6/6s generations. It's too early to know exactly which direction Apple will go, but it's expected to be thinner than ever. One solution for achieving this may be to remove the headphone jack. This would force music fans to use wireless Bluetooth headphones, headphones that connect via the Lightning port, or an adapter (rumored to be possibly offered in a bundle package). 3) Improved Screen Resolution: higher resolution is probable. Apple is playing catchup against many of its rivals in terms of screen resolution. Apple could very well take the higher pixel density that was exclusive to the iPhone 6 Plus and 6s Plus (which was 401 pixels per inch, as opposed to 326ppi for non-Plus iPhones), and apply it to all iPhone models in the next generation. 4) Storage Improvement: Most likely, the 16GB option will be phased out as the lowest storage option available. In this day and age, it’s nowhere near enough storage space. 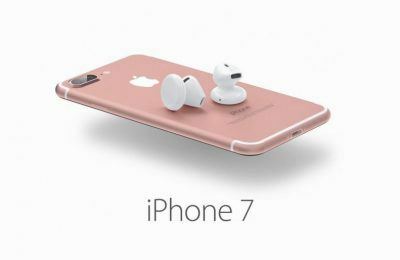 We would love to see the iPhone 7 begin at 32GB. Rumors abound that there will be a 256GB option. Ideally, the three available storage tiers would be 32GB, 128GB and 256GB. 5) Rumors We Can Put to Bed: 3D screen? Nope. Curved display? Maybe. Flexible display: Probably not. Edge-to-edge screen: very likely. “Spring-out” gaming joystick within the Home button? Sorry, but absolutely not. Wireless charging capability? Quite possibly. Improved waterproofing? A reasonably safe bet - although the rumor about self-healing ports isn’t predicted to come true for quite some time.